ORTELIUS, A. / COIGNET, M. - Gades. Gades. - ORTELIUS, A. 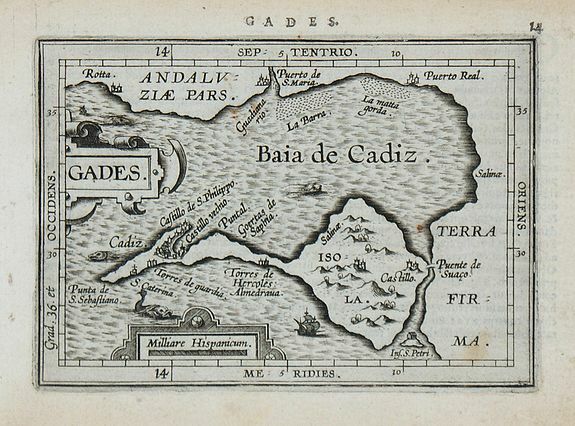 / COIGNET, M.
Description :Miniature map of Cadiz, with major cities named. Strapwork title cartouche. Latin text on verso.